When hand dryers were first introduced decades ago, they were bulky, noisy and pretty ineffective. It’s no wonder most facility managers balked at installing them. Dryers have come a long way since then, and sales of the machines reflect those improvements. 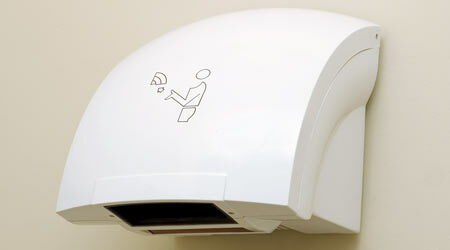 Some manufacturers are even reporting double-digit growth in hand dryer sales. 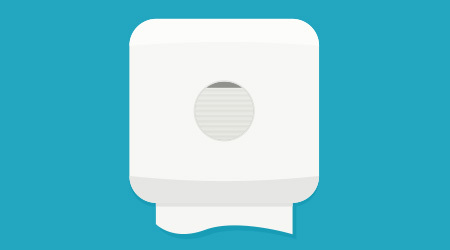 Those changes, along with an increased interest in “green” and budget-friendly products, have made hand dryers a more common sight in facilities of all types, especially as facility managers begin to overcome their dated perception of the machines. For now, paper towels still are king. Other than those jan/san distributors that specialize in hand dryers, most will say towels far outsell dryers due to end-user preference. Of course, there’s also a more practical reason for towels’ pervasiveness — dollars and cents. The bottom line is distributors make far more money from towels than dryers. That cycle slowly changes, however, if demand for hand dryers continues to increase. “There is growing demand for hand dryers because of their benefits, and when there’s more demand, distributors will sell them,” says Chris Berl, president of Restroom Direct, Mooresville, North Carolina.